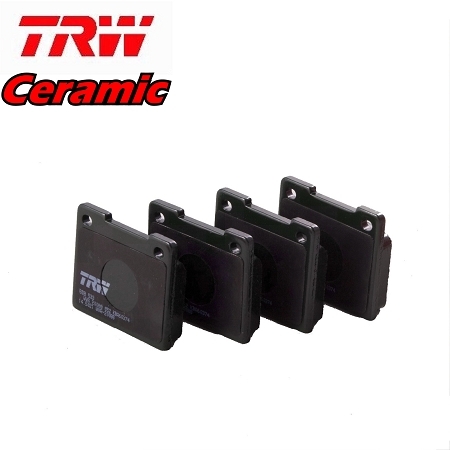 This is a TRW Ceramic Brake Pad Set for a Triumph Spitfire 1967 to 1980. Each pad has an anti-squeal shim glued to the back of the pad for silent braking. As for composition each pad is made from Ceramic material for an almost dustless braking and helps with high temperature brake fade. These are the same pads we use on our own Triumphs.